Allsteel 6×6 and 8×6 cubicles. some are 64″ high and some are 54″ high. Can also be configured into 64″ high step-down to 54″ high. Most stations have an overhead binder bin. Each station has a BBF and FF pedestal. 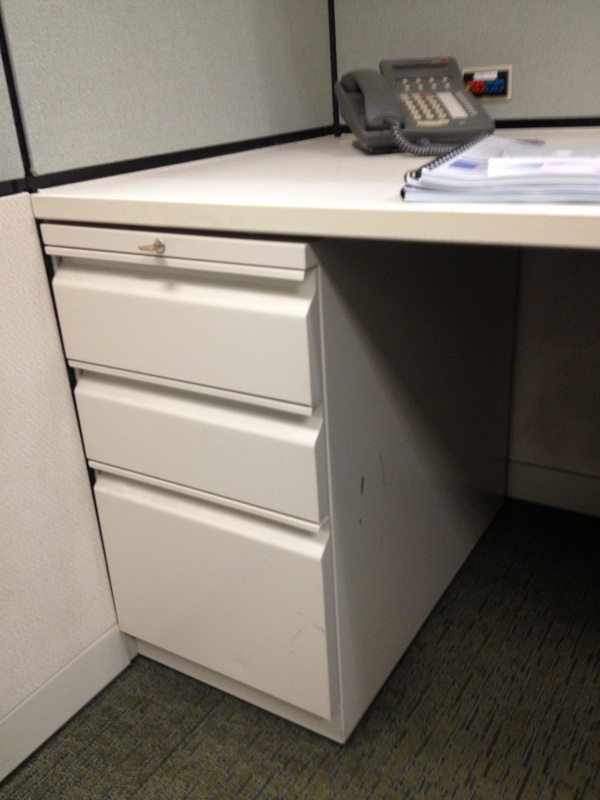 some of the larger 8×6 cubicles have a 2-drawer lateral file instead of a FF pedestal. There is power down the spine which is powered with base-in power feeds. 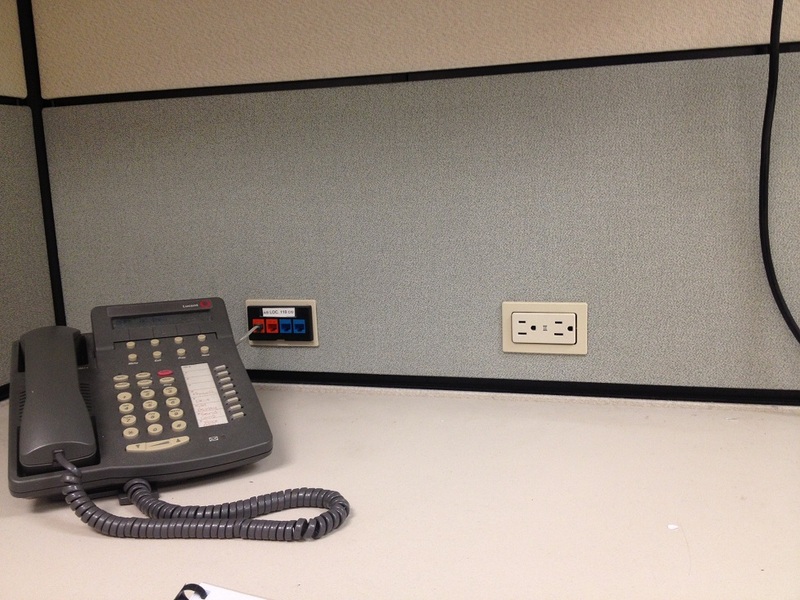 This is a tiled system with 4″ thick panels. product is in good as-is condition with light spot cleaning of the panels. Product is in our Cleveland Ohio warehouse. 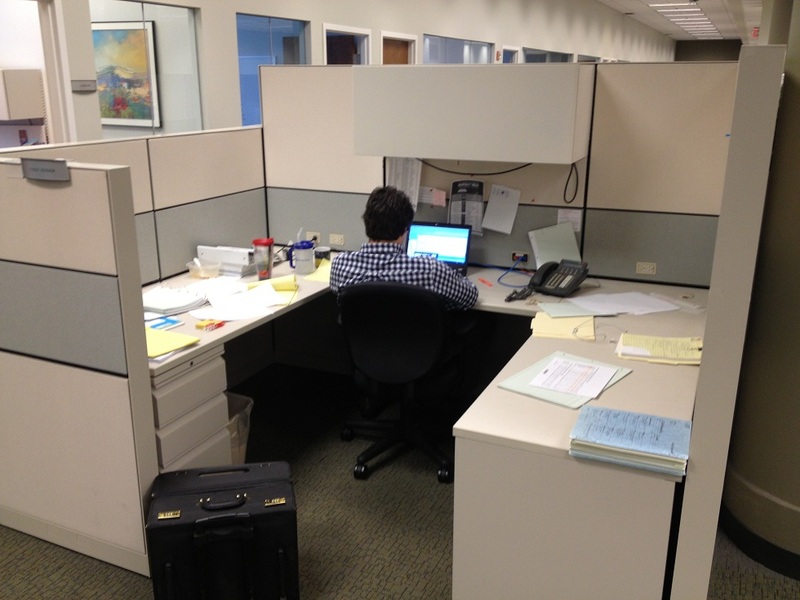 There are good quality used Herman Miller task chairs that match this product. 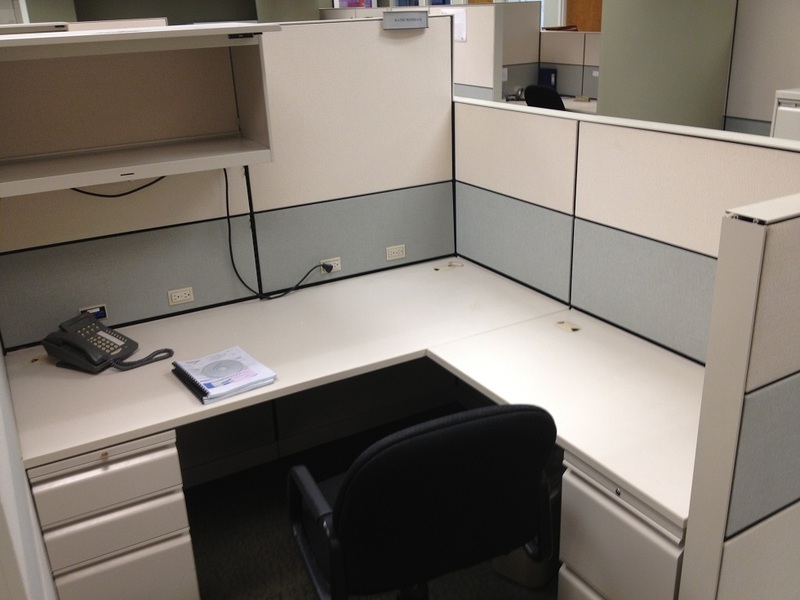 There are also good quality used Allsteel desk sets that match this product. 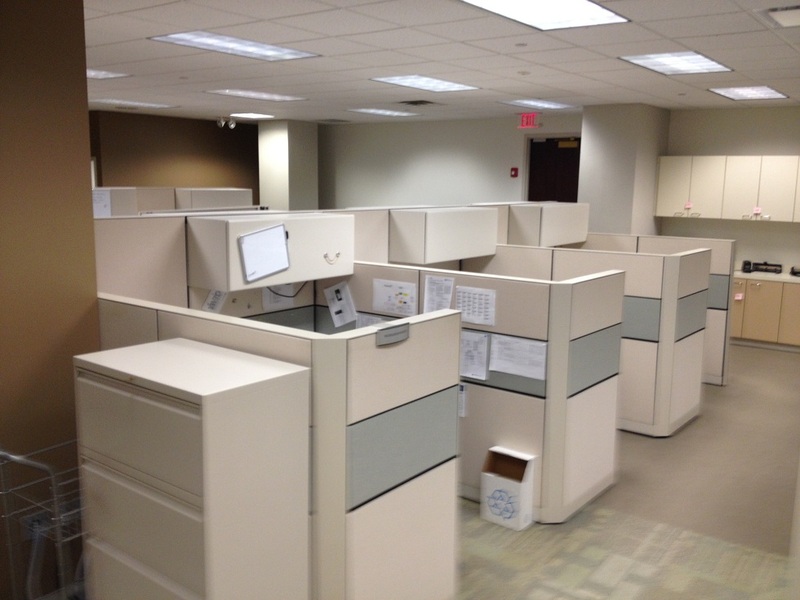 No Comments on "Used Allsteel cubicles"